What is a Patron Modal? 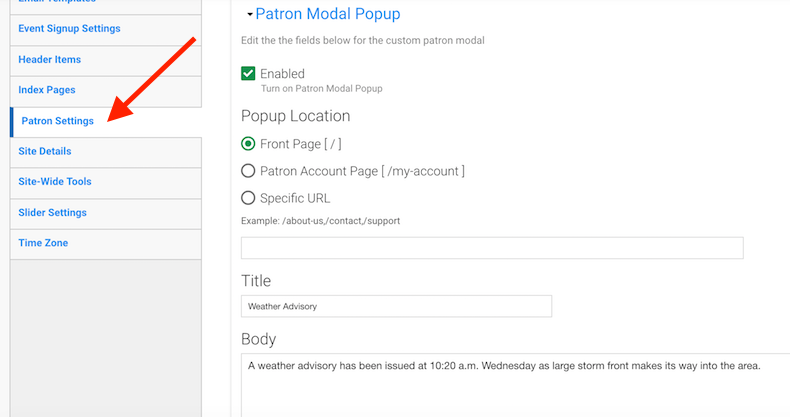 The Patron Modal is an alert tool that allows administrators to create an alert and specify where it is to be located on the website. 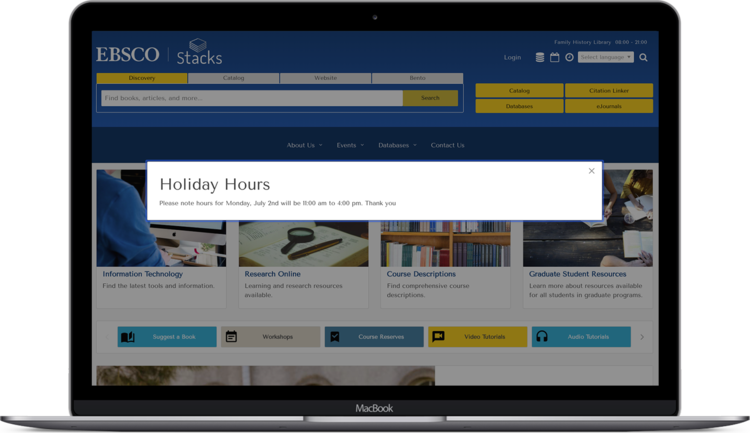 Patrons must close the modal in order to carry on with their task, ensuring that each patron reads the alert. The patron will only see the alert once per browser session. These alerts can be used to announce holiday hours, unexpected closures, special events, and more.